Is it just me, or do these months seem to go by faster and faster? We’re already in April! Before we know it, it’ll be May and we’ll be celebrating Mother’s day. 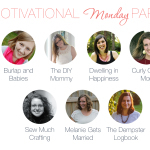 So, since it’s only a month away, it’s time to start thinking about our sweet moms and some gift ideas for them! 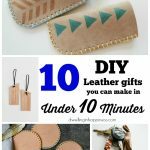 I love to give handmade gifts, especially with Jade’s help. 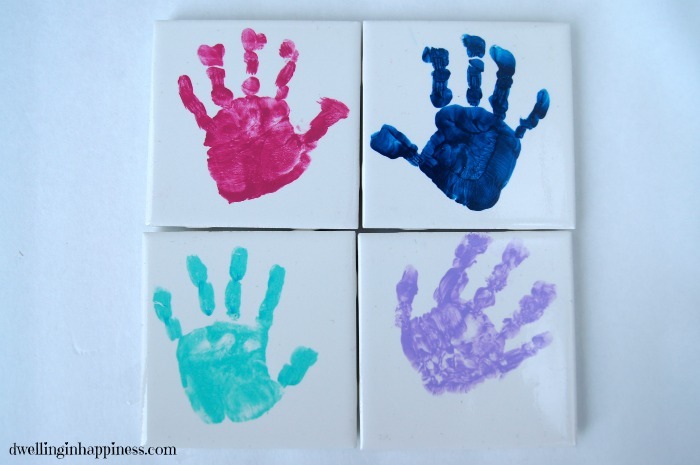 We made a cute little handprint coaster for David for Christmas this last year, and I thought making a set of them would make the perfect Mother’s day gift! 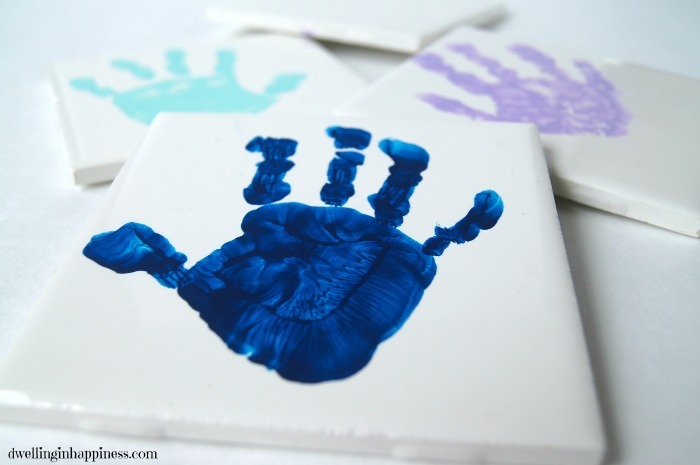 These DIY handprint coasters are not only inexpensive, but are seriously incredibly easy to make. And they’re totally adorable! 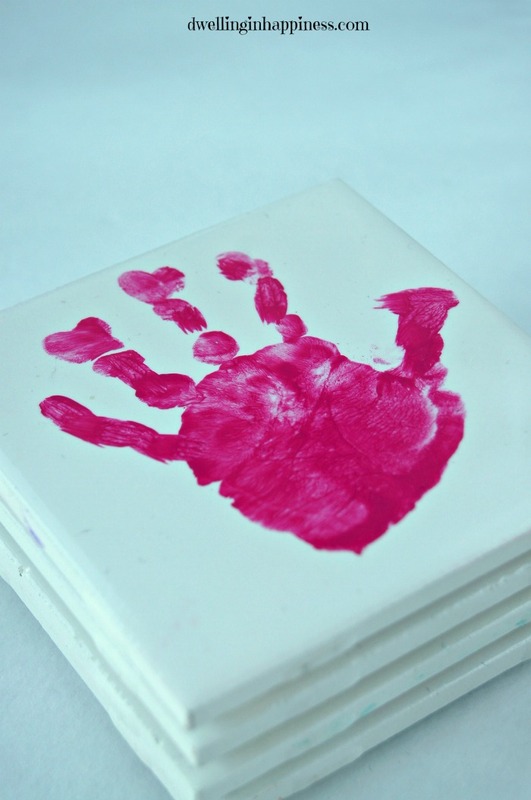 To make these cute coasters, you just paint the kiddo’s hand and press it on the tile. Easy peasy! Let the handprint dry for an hour or two. 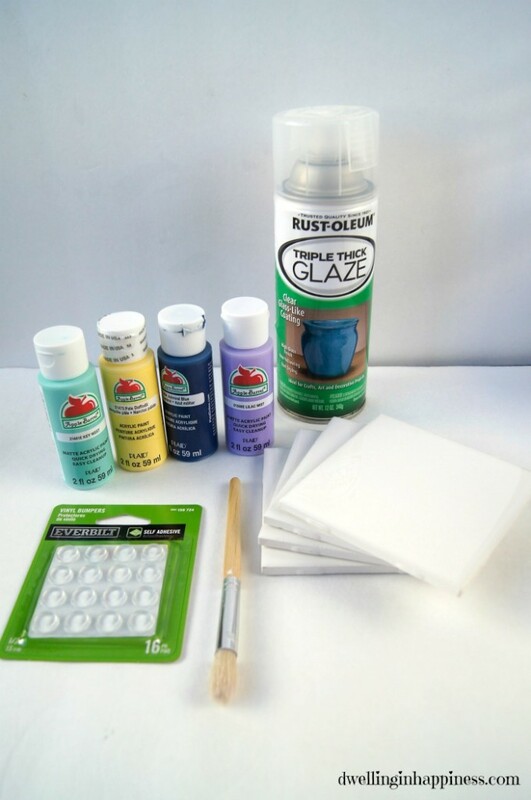 Then spray a few light coats of a clear protective glaze on top to make it waterproof. I like to use Rust-oleum’s Triple Thick Glaze. 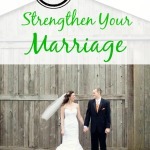 Let them dry completely overnight. 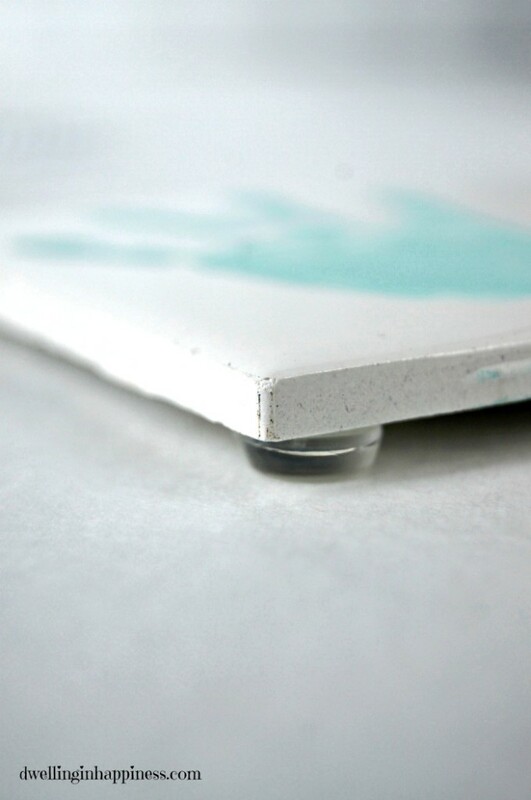 Flip the coasters upside down and add a vinyl bumper in each corner. I got mine at Home Depot where the furniture pads are. 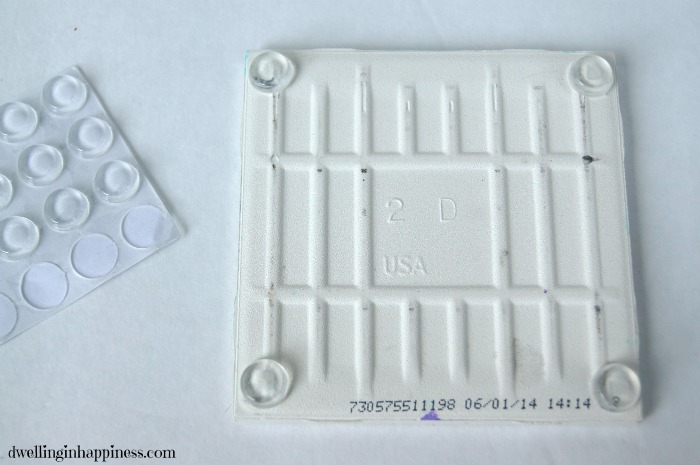 They’re perfect for making the coasters stay in place better on a table and not slip around too much! 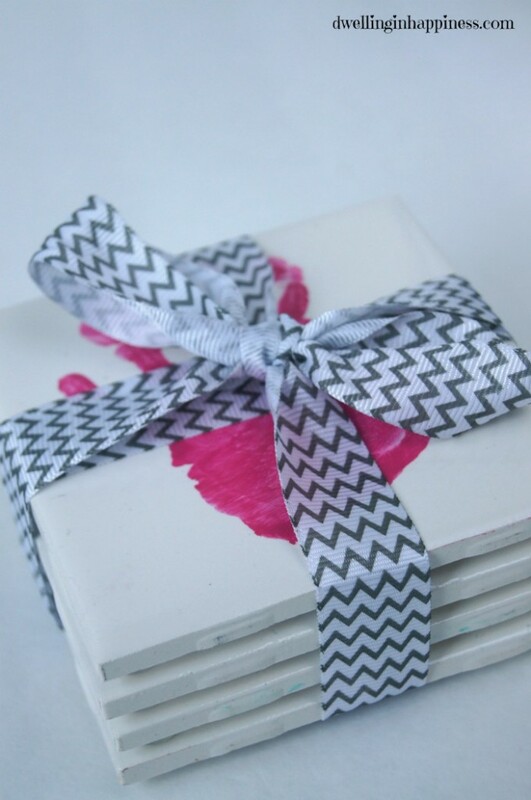 Stack up your coasters and tie a pretty bow around them! My mother-in-law is getting these for Mother’s day (so if you’re reading this “grammy,” you already know what you’re getting!) and are going to be so cute on their table! The best part is how imperfect they are. She’ll get to have Jade’s sweet little handprints forever! 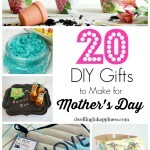 Are you making any gifts for Mother’s day? Hope your weekend is lovely, friends! These are so cute! My daughter is sitting next to me right now and is very interested in this crafty gift project! 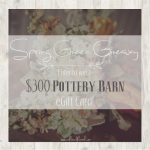 I have never tried that triple thick glaze spray!! Thanks, friend! I was hoping my hubby would get the hint and make these with Jade for ME…buuuut I don’t think that’ll happen. 😉 Oh well! Hope your week is fab! Thank you, Ann! Haha, you’re so right! It’s a good thing our families are supportive, right? 😉 Hope your week is great! These are so cute! I love handprint projects. These would be an adorable Mother’s Day gift. 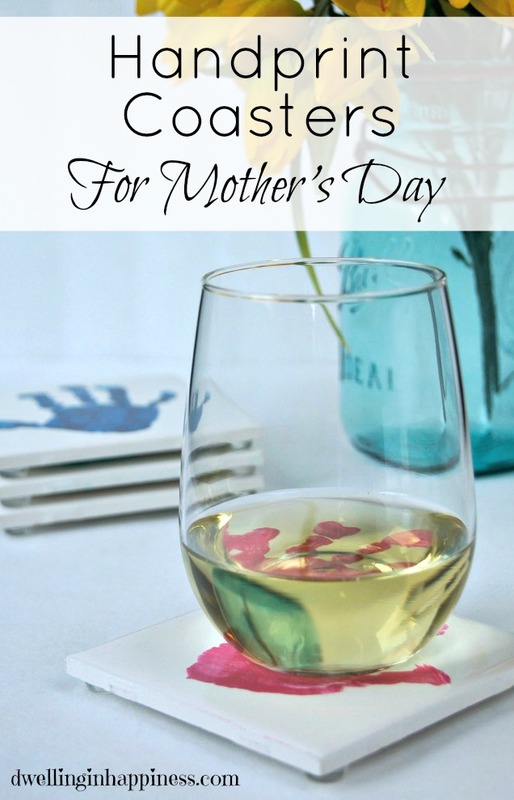 Pingback: 20 Handprint Crafts for Mother's Day - Wife. Mom. Geek. I love doing DIY stuffs as well! 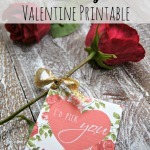 I find it the sweetest gift for those people you love. I have done a personalized pillow for mom last mother’s day. And I feel happier because she is using it each day.